As a Chinese, recently I developed a good habit of making traditional Chinese steamed buns every week. Not only it is healthy to eat, but it is also super easy to make. Making it perfect food for working people like me. So, typically, I do 20 some buns every weekend, and bring some to work, if I don't have any left-overs to take the next day. The buns are made from just flour and yeast, once the yeast develops in warm water, they are like growing bacteria (full of protein). Steamed, the bun will be very soft and tasty. You can zipped them up and stuff them into the fridge, just like normal bread. I typically would just microwave one in the morning for breakfast, together with milk, it would give you good energy to carry through to noon. Before I give you my recipe for making the traditional Chinese buns, I searched on the web to try and find the English sayings for some of the difficult words to express the different ingredients. 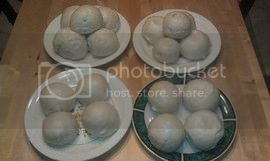 Here are two recipes that I found, AllReceipes.com's Chinese Steamed Buns and Steamed Bun Dough at About.com. I am a bit surprised to find out that they are NOT really talking about making just traditional Chinese buns. Rather, they seem to be for making the buns for part of some dim-sum course. For example, they all include sugar in it, which I think is a BAD idea. For me, I am not a big fan of adding calories to a healthy food. 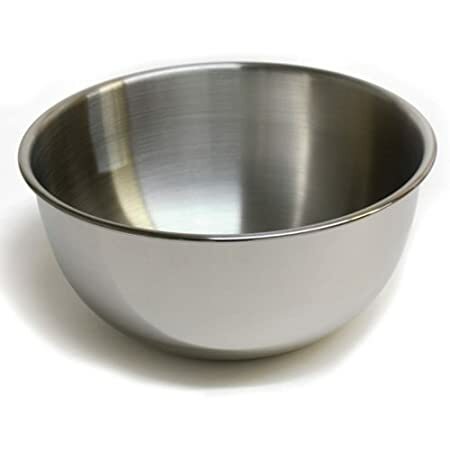 -Put the one spoon yeast into a 6 qt stainless steel bowl, apply 2 big glasses of warm water. mix the yeast well with the water, wait for 10 minutes for the yeast to grow. -Put the 6 cups of flour into the bowl. Knead the flour with the water for 20 or 30 minutes until the dough is smooth. Now your hand should have no flour attached, neither the bowl nor the dough. 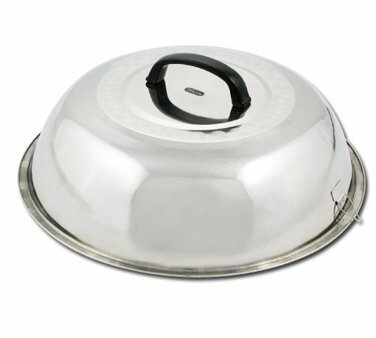 -Find a wok cover big enough to cover the bowl and let it grow for couple of hours. For the curious, I once prepared the dough ready in the morning and went out shopping for a day. When I came back after 7 hours, the dough grow so large that it almost tipped off the cover! -Spread out the dough onto a large cutting board. Sprinkle some flour on the board surface so the dough won't be sticky and stuck when you knead it. Divide dough into lot of small parts. Shape each part into a ball with smooth surface up. -Use 3-Tier Chinese Steamer and boil water to full steam. Soak the cheese cloth with cold water and place it onto the steam-plate. Put as many buns onto the cheese cloth as you comfortably can, leaving 1 to 2 inches between the buns. (since the bun will expand when steamed, so you should leave enough room to anticipate the growth). Steam buns over boiling water for 20 minutes. -Remove the lid before you turn off heat. Otherwise water will drip back onto th buns and produce yellowish spots on the bun surfaces. Continue steaming batches of buns until all are cooked. For anyone serious about making the buns according to this pure healthy recipe, I thought displaying these tools would be good, so you know what's needed or what to buy. You need something big enough to hold the dough, especially when it ferments and grows really big. 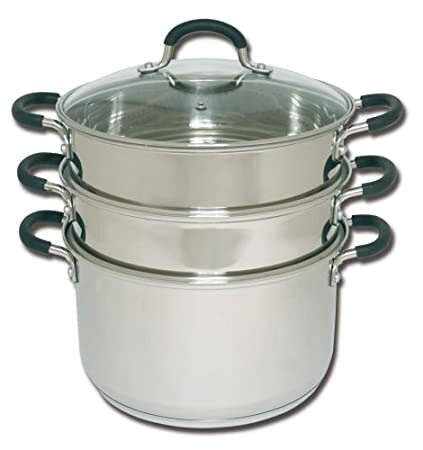 I like the stainless steel mixture cookware a lot as they are sturdy and high quality. This is just one of the covers that you might have at home. 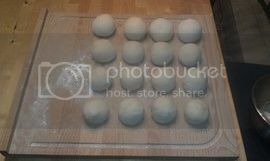 Use one of these to cover the bowl to let the dough ferment well. I like a large cutting board, so I don't need to worry about water overflowing. Also, it is handy to stage the raw buns onto the board before you transport them to the steamer. This is a good steamer I found on Amazon. You can use this as a reference as to what to buy for a steamer. I didn't find the cloth for Chinese steamers. 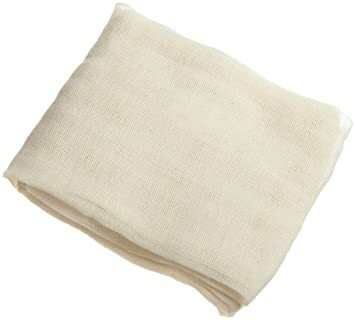 Although this is a cheese cloth, but it is very close to the Chinese cloth you need. This should be the best Chinese bun recipe on the web. Let me know if you see differently.